Wireless charging is expected make its way to Apple's iPhone lineup this fall, but the tentpole feature might not be ready in time to launch with the next-generation handsets, a new rumor suggests. In a tweet on Friday, well-connected blogger John Gruber reiterated rumors claiming Apple will not include an inductive charger with "iPhone 8" or "iPhone 7s" and instead plans to sell the accessory as a separate item. Citing unnamed sources, he goes on to say that Apple is having issues implementing wireless charging technology. "I've heard that inductive charging will (a) be sold separately, and (b) might be late, waiting for iOS 11.1 (a la Portrait mode last year)," Gruber said, adding in a later tweet, "I'm not sure if the holdup is hardware or software. And they could catch up in next three weeks." As with prior iPhone debuts, Apple's upcoming models are expected to ship with the next-generation iOS version, iOS 11, built in. Gruber's mention of iOS 11.1 suggests wireless charging might not be ready when "iPhone 8" and "iPhone 7s" launch this fall, the operative term being "might." Still, Apple has a couple months to work out the kinks before the anticipated September hardware debut. Like any unsubstantiated claim, Gruber's missive should be taken with a hefty grain of salt. That said, the blogger's sources have in the past provided accurate information. Apple is expected to release three new handset models in 2017. A follow-up "iPhone 7s" series set to take the place of current iPhone 7 and iPhone 7 Plus models will likely boast the usual assortment of component improvements while keeping external aesthetics largely unchanged. 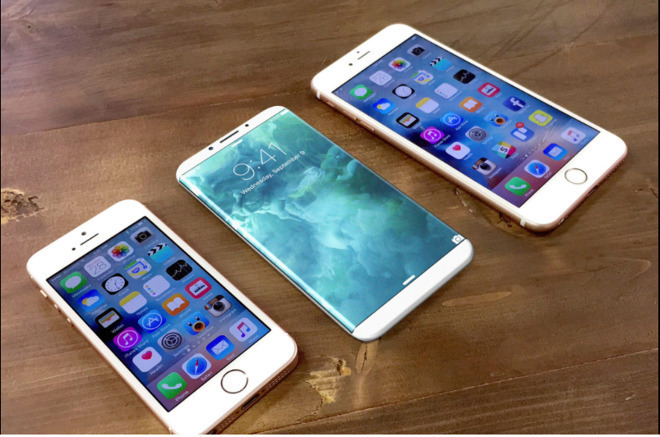 The real show-stopper, "iPhone 8," is rumored to usher in an entirely new design with full-face OLED display, an embedded below-screen Touch ID module, 3D scanning front-facing cameras and more. Reports have indicated that both "iPhone 7s" and "iPhone 8" will feature wireless charging. Neither model is said to ship with the dedicated accessory required for cord-free charging, leaving it up to customers to decide whether the feature is worth the extra money.